Vacation rental house. 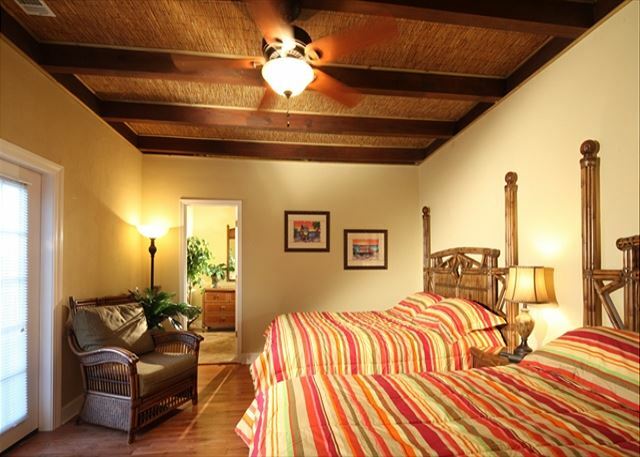 Sleeps 24, 8 bedrooms, 12 bathrooms. No pets allowed. 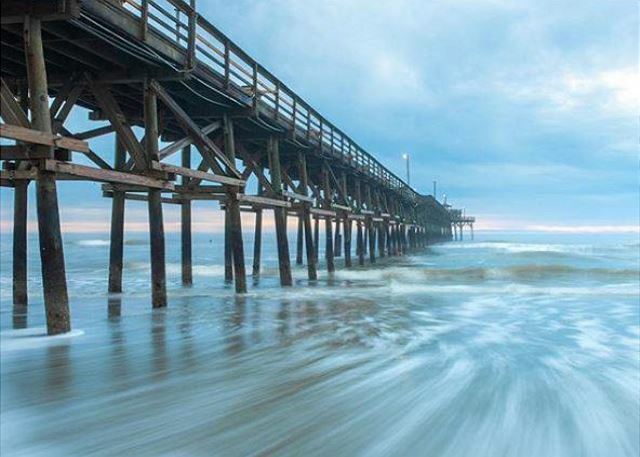 Member of North Myrtle Beach - Chamber of Commerce. 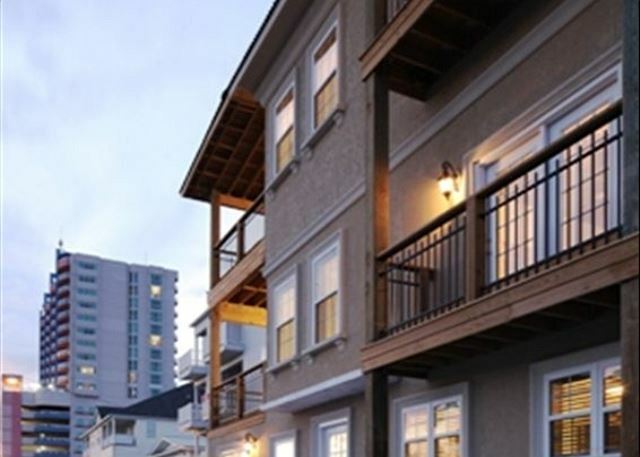 This beauty has 5400 Sq Ft of comfort and includes: easy ground floor access to 2 bedrooms, king beds in both, each has private bath and a common full bath on the ground floor. Gourmet granite kitchen is fully equipped with dinner service for 36, abundant cookware, stemware and utensils for cooking and dining in. 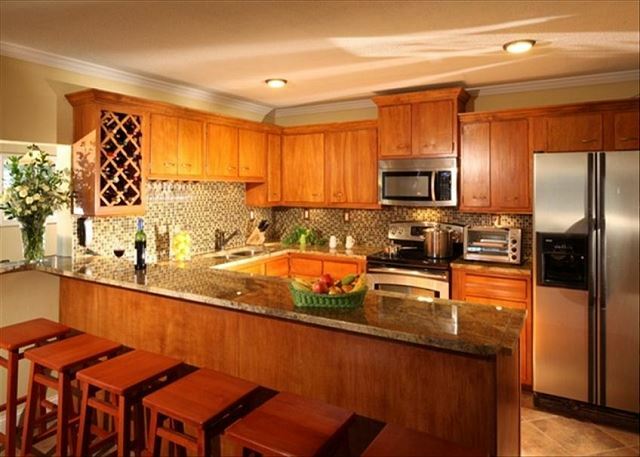 This level has a large gathering space with breakfast bar, dining tables, den seating and full central bathroom. The house includes 2 refrigerators, a commercial ice machine (makes 260 pounds per day), washer and dryer (full size). The indoor waterfall spa pool completes this level. 2nd Floor: All about fun! 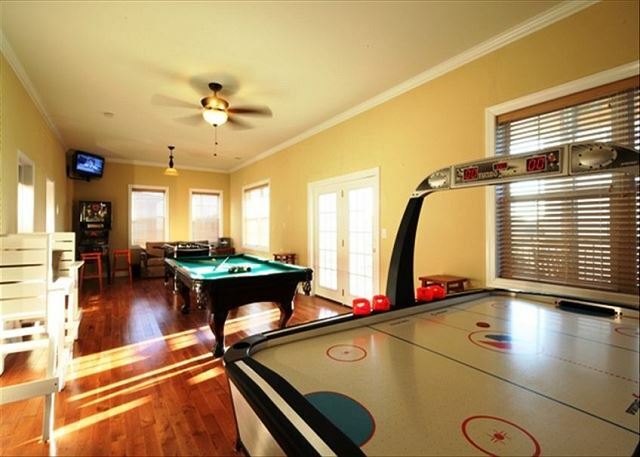 Includes a KIDA FORT with TV, GAME ROOM with commercial PINBALL MACHINE, POOL TABLE, FOOSBALL & AIR HOCKEY. CORN HOLE games are on the outdoor porch. 3 Bedrooms on this floor :1 King, 2 Queens, 2 Queens - each with private dressing room and full bath. 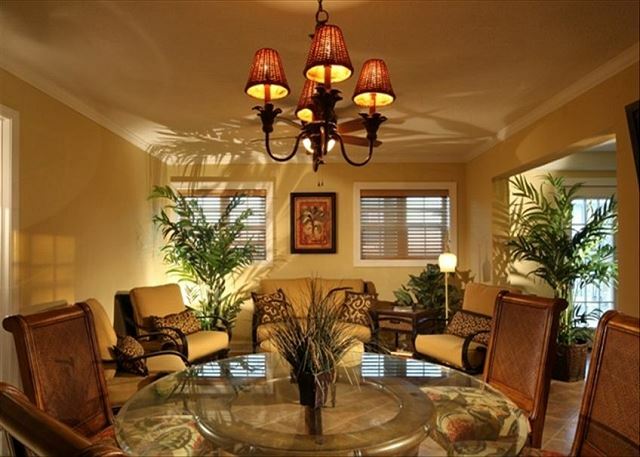 3rd Floor: A huge 64' Smart TV, full video library, wet bar, poker tables, and sectional sofa are found on this floor. 3 Bedrooms on this level: 1 King, 2 Queens, 2 Queens - each with private dressing room and full bath. 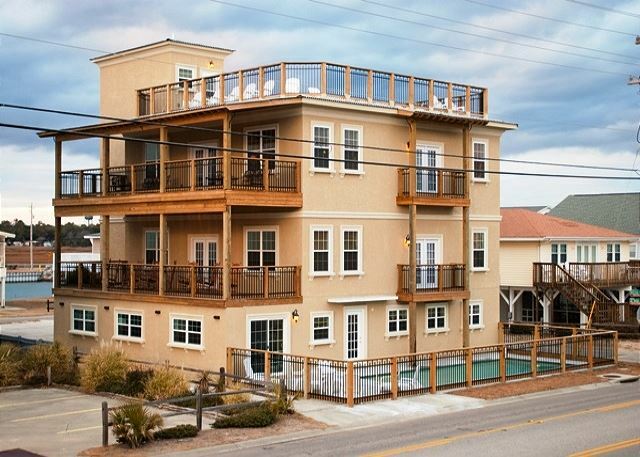 A one-of-a-kind, 40X40 rooftop deck is perfect for your family vacation. 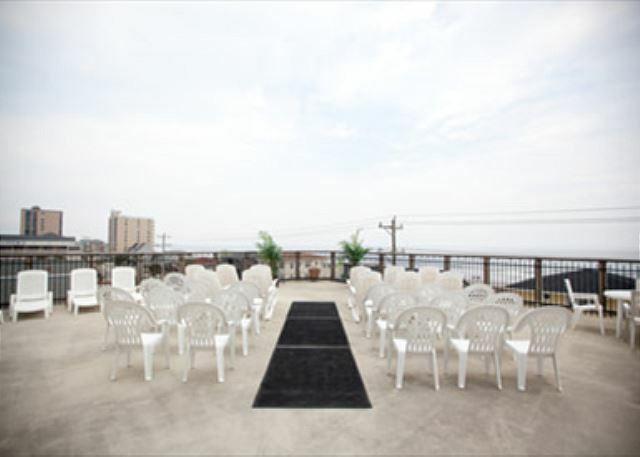 Expansive views of the ocean, pier and salt marsh make a perfect setting for your special event. 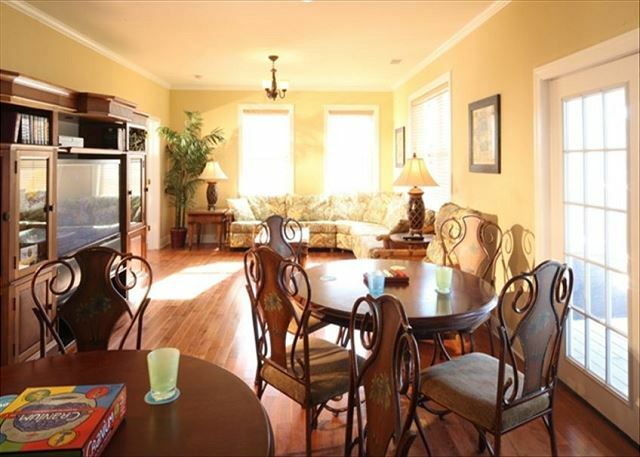 Up to 24 guests can stay and enjoy this beautiful property. Perfect for a family reunion! 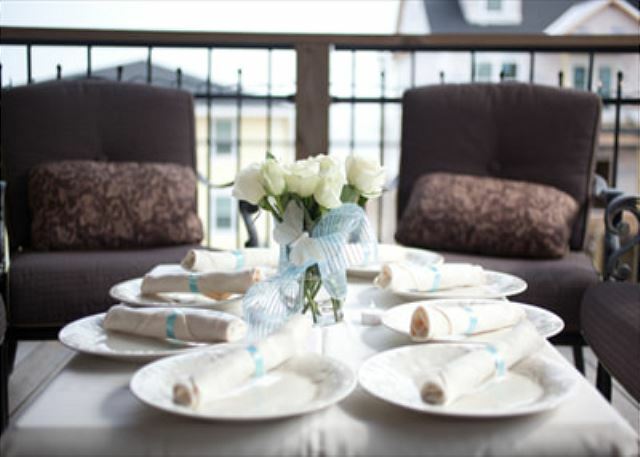 Entertaining on the roof is easy with the supplies that the owner offers -- (2) 32-inch pub height folding tables, (2) 36-inch square folding tables, (1) 60-inch round table, (4) 60-inch rectangular folding tables. 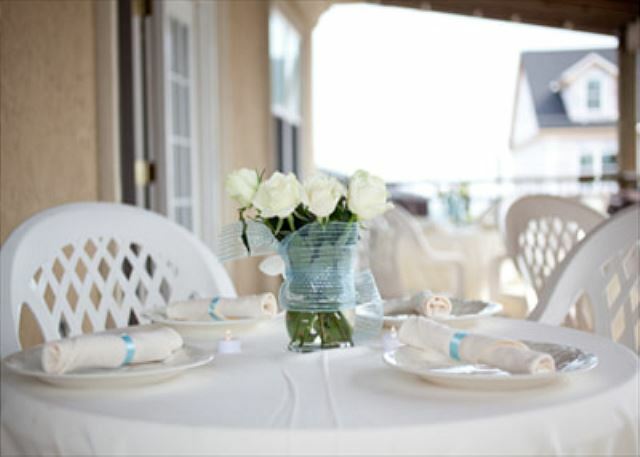 40 plastic chairs offer ample seating and table cloths are available in white or black for elegant finishing touches. 50 glass plates and coolers are available for service pieces, too. For the little ones in your group the owner provides (3) pack-n-plays with sheets, (2) wooden restaurant-style high chairs and (1) booster seat. 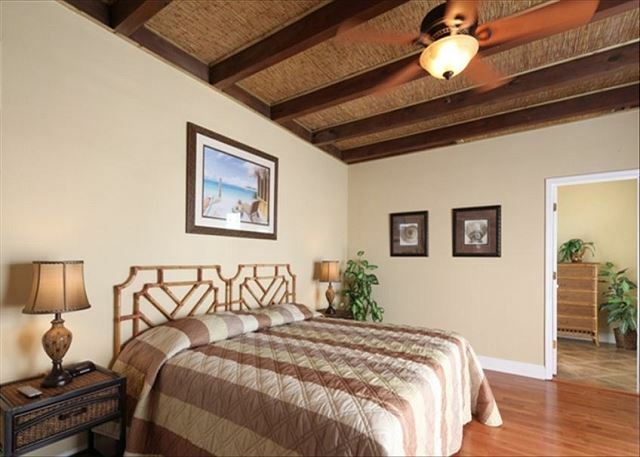 The house has been designed with hardwood & tile flooring & beamed, high bamboo ceilings. 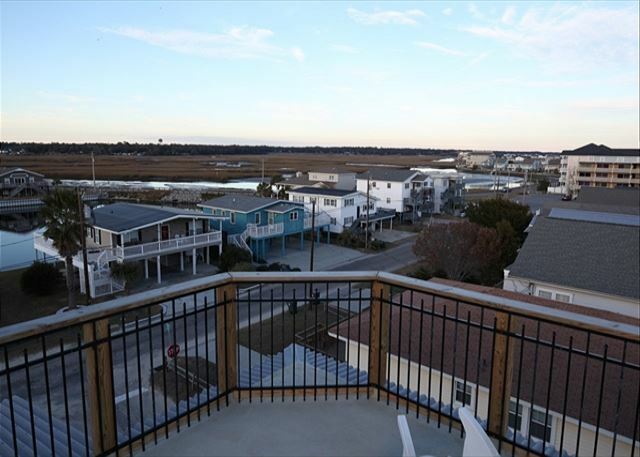 Enjoy a constant breeze from one of the 7 covered decks, complete with rocking chairs. The first floor indoor spa pool offers a unique experience, with convenient seating and entry to the outdoor pool as well. There is a large parking lot, basketball court, gas grill, shower room & outdoor storage in the rear of the home along with beach chairs, umbrella, boogie boards and approx. 8 bicycles of all sizes are available to use and enjoy during your stay. Just let us know if we are missing your size??? This spectacular home is available to families, religious groups, golfers, corporate events, and weddings, and will sleep 24 comfortably. While you're here make plans for that special occasion family photo shoot. We can recommend a local photographer for the guests of Abercrombie and Fish, that will offer an exclusive $100 discount voucher for a group seating. Pasha Belman Photography is an excellent professional artist who will capture that magic moment in the most perfect seaside setting, for a lifetime of memories. You can schedule your appointment now with your reservation, to get the exact date that you prefer. This place was awesome! The owners were great. I love how they take the time to meet you, give you a tour of the house, and answer any questions you may have about the house or fun places to visit nearby. The house was clean, had plenty of washcloths, towels, and kitchen utensils. The beds were comfortable and rooms were spacious. We didn’t get to enjoy the outdoor pool due to the weather but the kids and adults were able to enjoy the indoor spa pool. 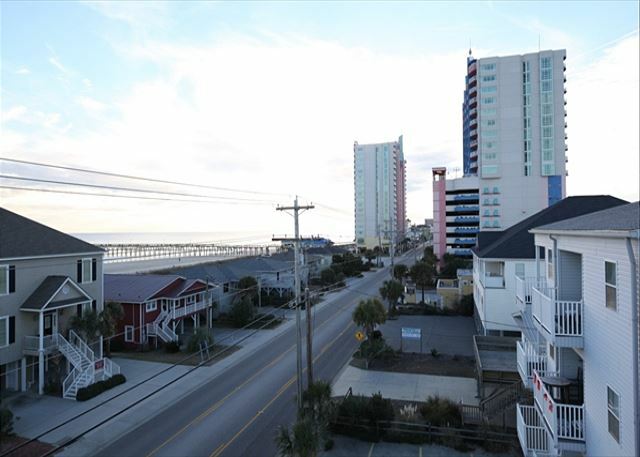 You get to enjoy a peaceful neighborhood with a beach right across the street and wonderful restaurants nearby. Definitely a place we will return to for relaxation. WOW -- thank you for letting the world know exactly everything the owners of Abercrombie and Fish are trying to accomplish. 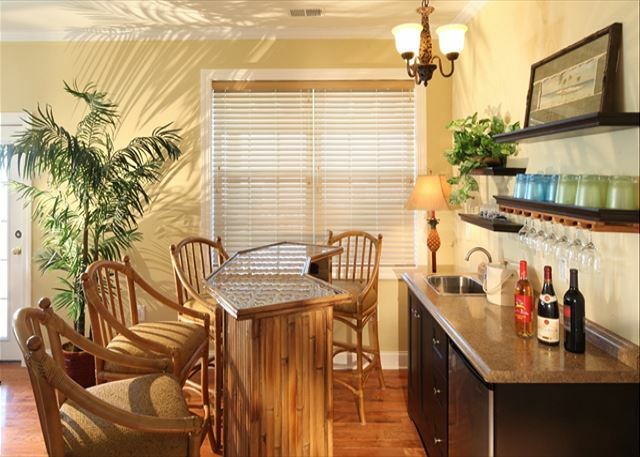 This wonderful home is their pride and joy and every effort is made to offer their guests the best vacation possible. It always means more coming from happy travelers that had a great experience. The only thing you didn't mention is the awesome views from the rooftop, but there is always "next time". Thank you again for leaving such a detailed response that will let others make an easy decision that this is the perfect place for their family trip, too! 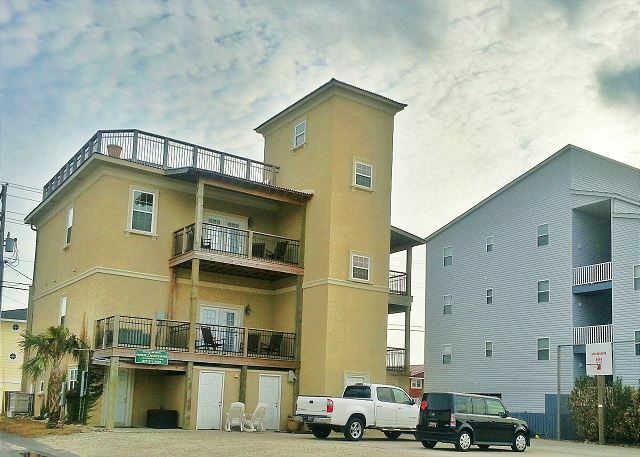 Our family had a wonderful stay at the spacious, well-appointed Abercrombie & Fish House. 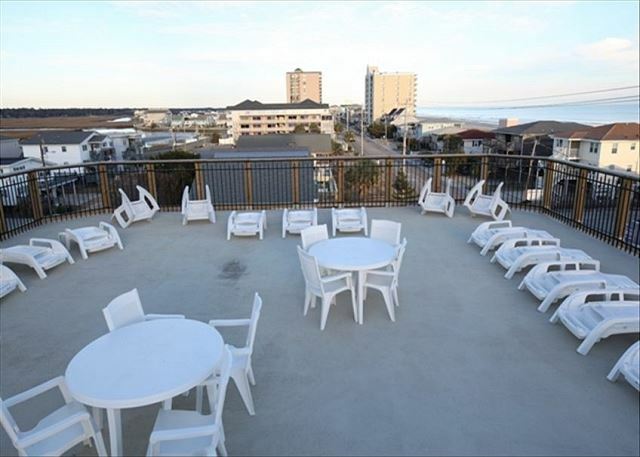 Though it was too late in the season to use the outdoor pool, the hot tub was wonderful, the game room was lots of fun, and the view of the ocean and the Intercoastal from the roof was super! Thanks for the great review. 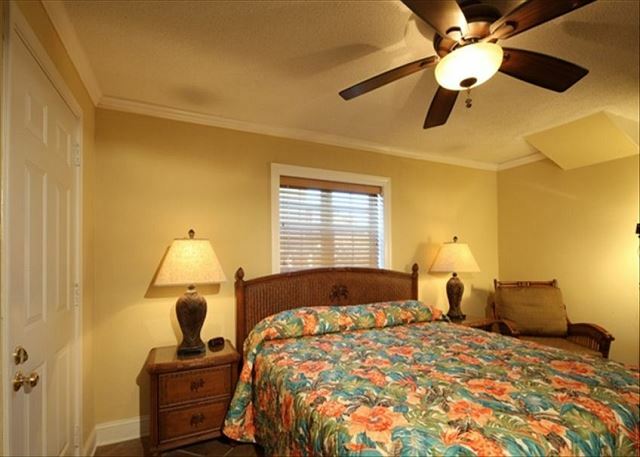 The Abercrombie Family will be thrilled that you had a wonderful stay at their private home. 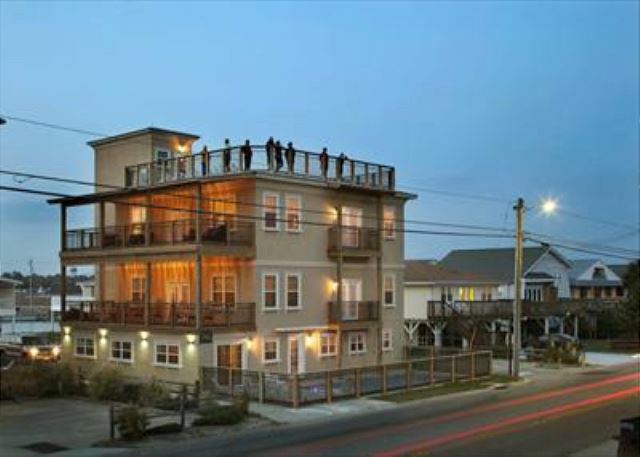 They do make every effort to create special luxury accommodations from room to room, from top to bottom -- the ground floor hot tub is supersized for large groups and the rooftop deck allows for panoramic daydreaming. 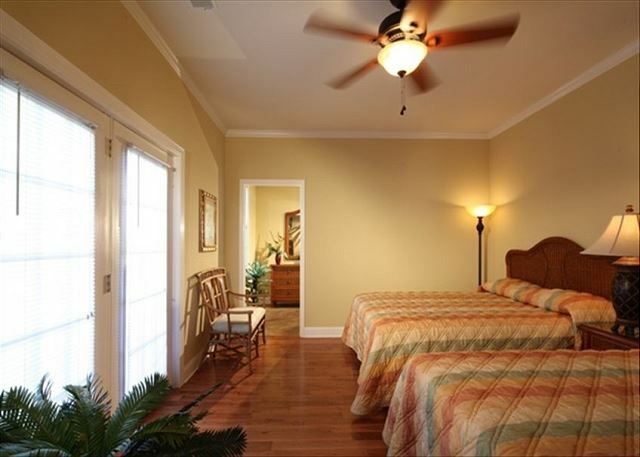 In between, the guest rooms are spacious and private baths for each. The kitchen is stocked with all of the best essentials so that meal time is a special gathering, even if it's just cereal for breakfast!!! 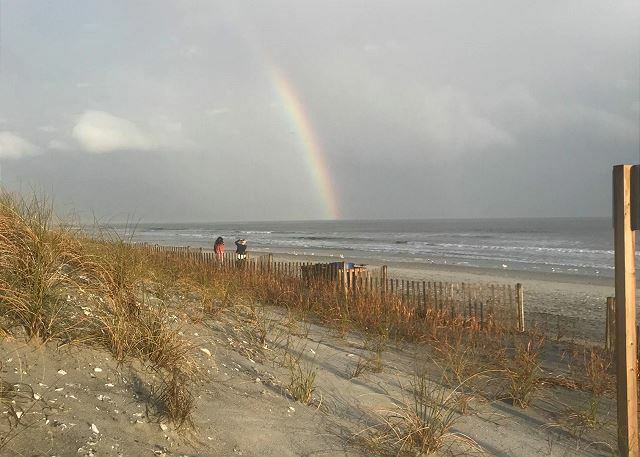 We appreciate that you chose to stay with us at Abercrombie & Fish and hope you will spread the good vibes about this wonderful vacation destination to other friends and family. Thanks again! This was our second time staying at this location. The first was with a group of friends, as was the second. Both times were fantastic. 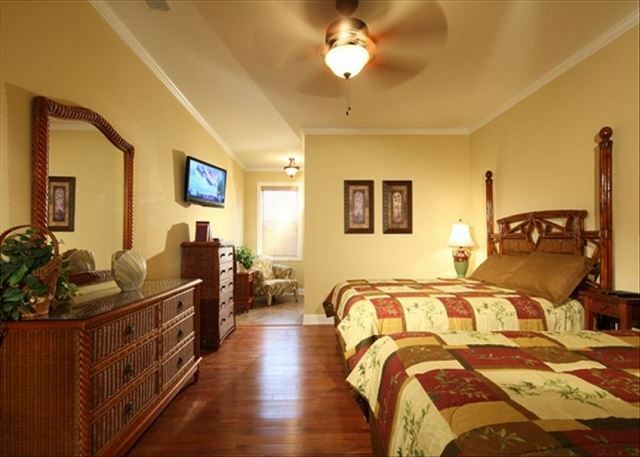 The home has all the amenities you will need to have a great vacation! 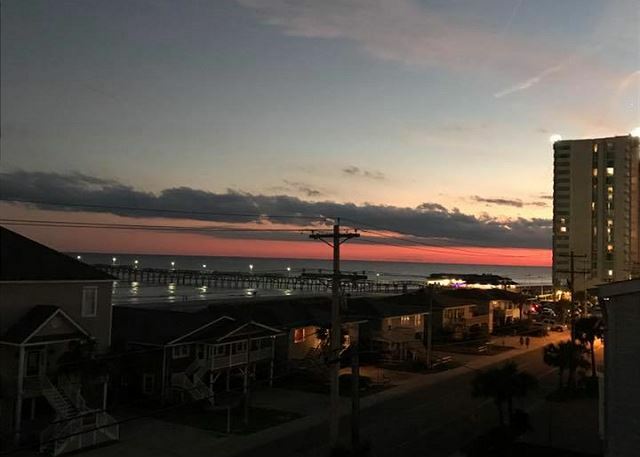 The location is close to anything you might be interested in doing in Myrtle Beach, yet far enough away from the center of town to enjoy a quiet peaceful stay. The owners Rob and Gwen were fantastic in making sure we had a great time. 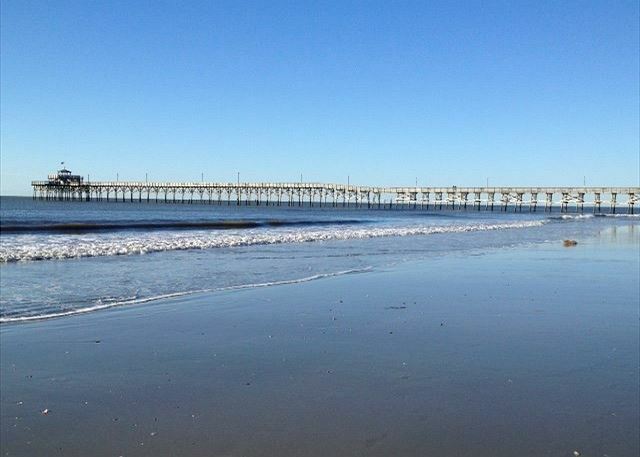 We would strongly recommend this location to any large group or family looking for an ideal place to enjoy Myrtle Beach. Thank You Rob and Gwen for another great stay!! Thank you for that stellar review. The Abercrombies will be proud that they were able to be a part of making your trip exceptional -- That is exactly why they offer the royal treatment for all of their guests. 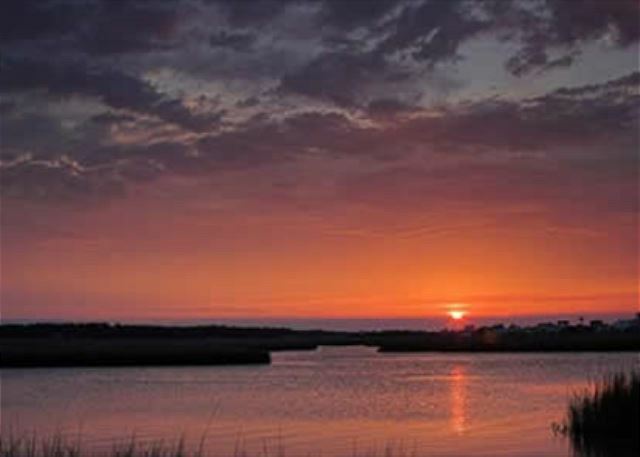 For starters, this luxury home includes your own private pool and giant indoor spa hot tub, expansive porches and a roof-top deck to enjoy the amazing 360 views of the marsh, inlet and ocean. 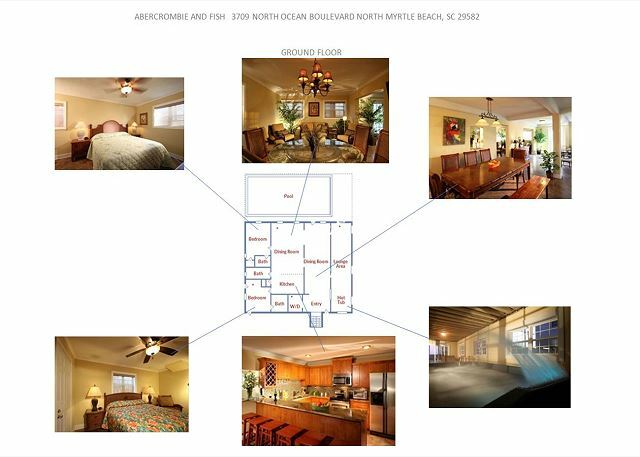 The interior will WOW, with a well-stocked home of the best creature comforts, from kitchen necessities to prepare large family meals, to spacious living areas, game room for friendly competition and cozy bedrooms that will allow for privacy when seeking an afternoon nap after a long beach day. 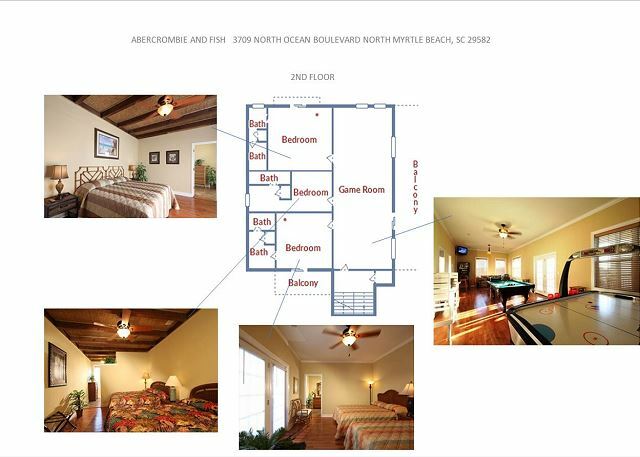 The "Abercrombie and Fish" home is the first choice for those seeking a resort style vacation without the crowds. We thank you again for pointing out the wonderful features that the home offers and we look forward to hearing that you and your group will be back! 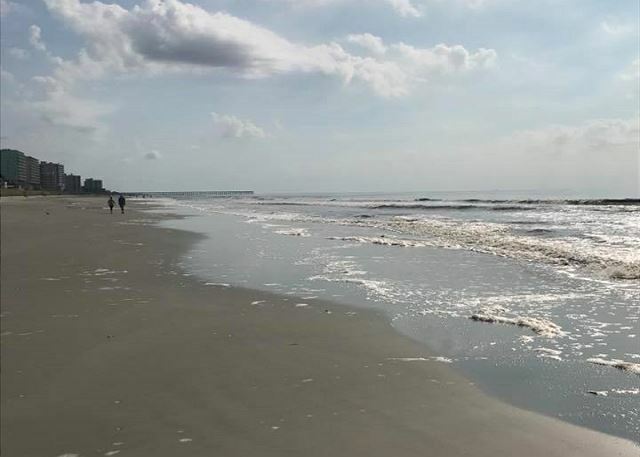 We had a WONDERFUL time and the owners of this property have thought of everything you could possibly need to make your stay enjoyable from beach chairs, to games and just about anything else you would need. Thank you for the kind words. The owners of the Abercrombie and Fish house are a top notch team and personally take care of every detail with the house. 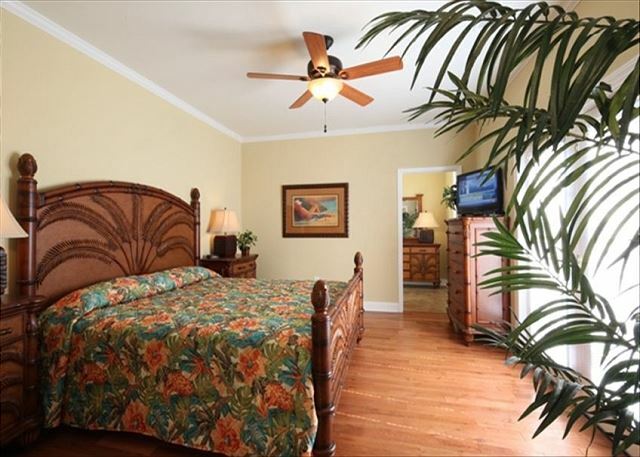 They like to meet their guest and give a personal walk-thru upon arrival so that everyone will feel comfortable with the property and amenties. Then, the owners are just a phone call away if you need help during your stay. 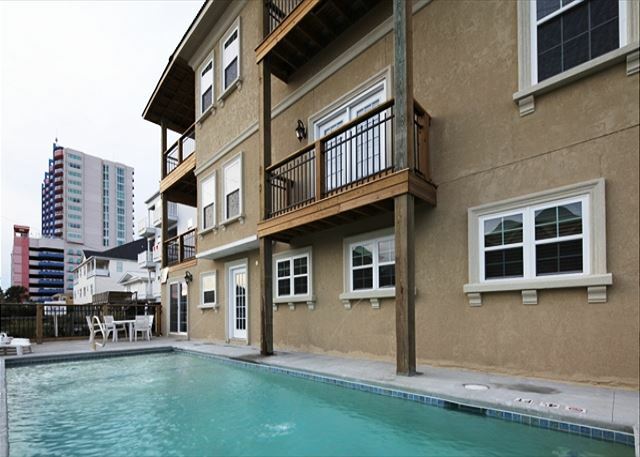 It's just steps across the street from the beach and a fabulous private pool and hot tub to enjoy when you return. The home is wonderfully stocked indoors and outdoors, from kitchens to grills and the roof top deck is 360 degrees of beautiful coast line and marsh views of Cherry Grove.. 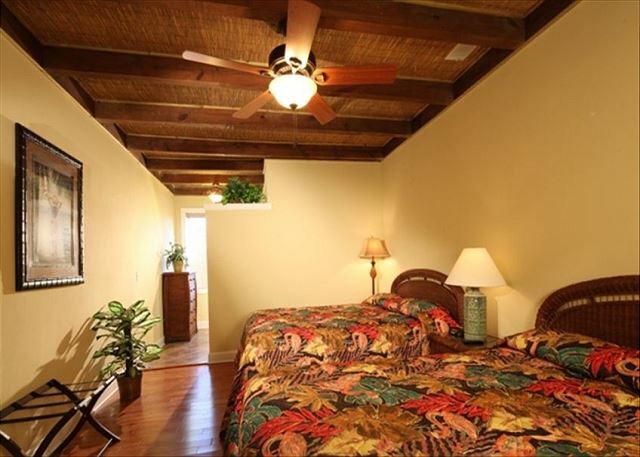 This is the vacation destination for those that really want a private resort feeling. We hope you will be returning next summer!!! A great week in a wonderful house directly across from the beach. Room for all 18 to sleep, eat and enjoy inside time. 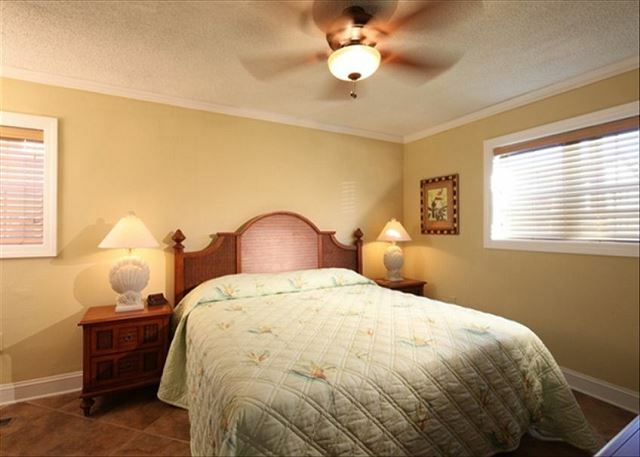 The owner is first rate and very attentive to weekly guests. Can't miss with this home. We are so happy to hear that you enjoyed the Abercrombie and Fish House, it is simply AMAZING! The owners of this house have thought of everything to make sure their guests just relax, enjoy and have fun. This house has everything from a game room, pool and indoor spa pool just to mention a few, so you are right it is a CAN'T MISS HOME! Thank you again for staying with and for completing our survey. Please come and join us again. We were delighted with this home. It was everything we expected and more! There was so much for the kids to do, they loved the game room and even the older guys especially loved the pinball machine. The kids loved the bicycles too, something we had never even thought of. There were plenty of beach chairs provided all the way down to sand toys for the little ones. The owner was super nice and offered to take us out on his boat but we were unable to make it. There was a small secluded area between 2nd and 3rd floors and the little ones called it their treehouse! Couldn't have asked for more and would definitely stay there again. Thank you so much for the 5 STAR RATING!!! We love this property too, it is truly amazing. 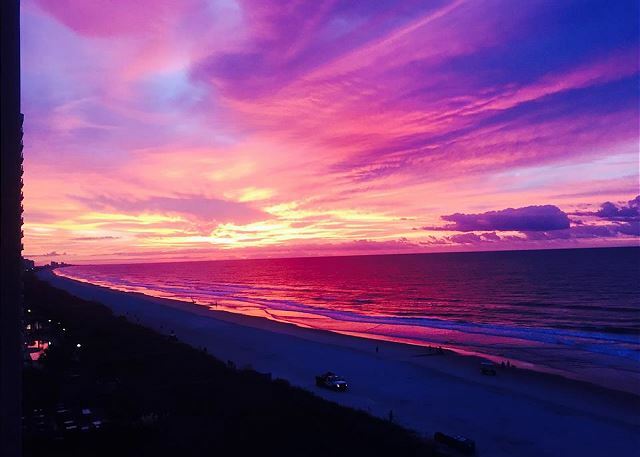 The owners have taken great care to think of EVERYTHING to make sure their guest have nothing but a wonderful, memorable vacation, they are the perfect hosts. The Abercrombie and Fish House has everything you could possible think of for kids of ALL ages, even the big ones. We thank you again for the rating and for taking the time to complete the survey. Thank you so much for staying with us and we can't wait to see you again. As always the place was very clean and up to par. kids really enjoyed game room. pool was nice. hot tube nice. kitchen well stocked, plenty of room for everyone. icemaker great. 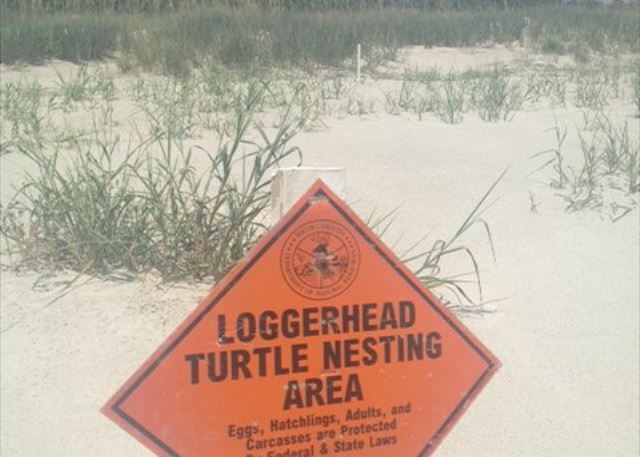 good beach. really appreciated the fishing trip. owners were great. would recommend again. 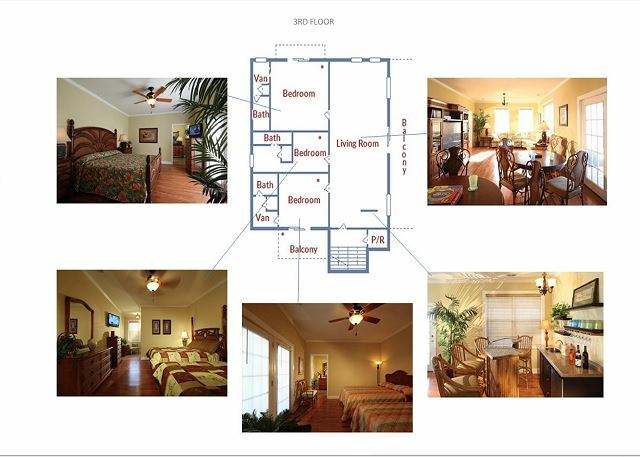 Great place to stay with all the conveniences you will need. The owners, Rob and Gwen were very welcoming and very much on top of any needs we had. The house was big enough to accommodate our large group with places to spend time together and time apart in groups. Very good location and afforded easy walks every morning on the beach.